A good and optimally functional heating system is directly dependent on the health of its furnace. The furnace in the lifeline of your heating device, and you must take special care of it, if you wish to ensure the longevity of your heater. A furnace follows some basic laws of mechanical engineering, in order to warm your room. This means that many of the furnace problems, which also affect the health of your heater, can be averted, and rectified, without the help of any professional. Whatever may be the type of your furnace, and the variety of problem that affects it, there are some common tips that you can follow, in order to repair it. Given below are 4 such words of advice that can cure some common furnace problems. It is not impossible for a furnace to develop some inadequacy, due to incorrect settings of the thermostat. A thermostat is an integral part of your heating system that controls temperature settings, in order to ensure that you are given just the right kind of heating service. If the thermostat of your heater points to incorrect settings, then you may end up getting too much heat, or no heat, at all. Therefore, it is imperative to make sure that the thermostat temperature setting is higher than the room temperature, to correctly program its day/time settings, and confirm about the battery conditions of the device. 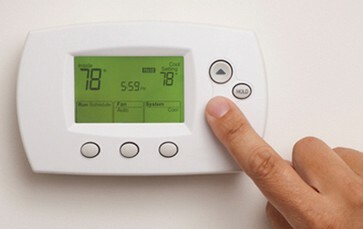 A heating system depends on a number of switches to function properly. For instance, there is the main switch that turns the heater on, or off; and there are breakers that help to deal with short-circuit, and power excesses. There is also an interlock switch that ensures that the furnace switches off, if the blower box is open. If either of these switches is not working properly, your furnace may refuse to work well. Thus, it is essential to check the health of these switches, and change them, if necessary. The chimney, or flue, of your furnace may be sometimes blocked by dust, leaves, or even small animals and insects. If this happens, then you have to dismantle the flue, and clean it thoroughly of such hindrances. In addition to this, the exhaust regions, which accompany a high voltage furnace, may also need cleaning up. If such cleaning procedures seem to be too difficult for you, you are free to call furnace repair and servicing companies to your rescue. High efficiency furnaces are infamous for inviting moisture from the external air. For this reason, manufacturers fix tubular drain lines to the rear of these furnaces. You must always ensure that such lines are open, in order to expel all the moisture from the furnace. These are some of the easiest ways to rectify common furnace problems. By simply following these, you may restore the health of your furnace. Very well written post! Figuring out what is off with a heater could be a dismaying work. A great deal of components commit to the intricacy of your home warming framework, incorporating if your heater runs on natural gas or power, the trade name of your heater, and the size of your heater. That stated, there are numerous pointers that indicate your heater may require some repair. In the event that your heater is basically not running, the situation may be at the heat source: It might have lost power, or fuel may not be touching off in a proper manner. How Do You Know That School Trips Are Worthwhile? Why Do Bathroom Mirrors Fog Up?